An upgraded version of the landmark G Comp Wind glove, the new Power version features a premium goatskin leather for enhanced grip and durability. This makes it possible to use your skimo gloves for cold weather activities that have even more intense hand usage, such as nordic skiing or winter biking. The G Comp Wind Power still features the innovative Windmit'N that optionally protects your fingers or can be stowed in the wrist compartment. This glove could easily replace the G Comp as the new benchmark for light and fast ski mountaineering. Synthetic insulating glove is light yet breathable, ideal for high-aerobic cold weather activities. Ripstop nylon Windmit'N is hidden in the top of the wrist and can be pulled out to protect your finger from biting wind. Premium goatskin leather palm maximizes grip, durability, and dexterity. Terry wipe on the thumb can be used to wipe your brow before the sweat stings your eyes. ** Usage note: Remember to remove the Windmit'N from your fingers when working with pinchy bindings or gluey skins to avoid damaging the nylon. 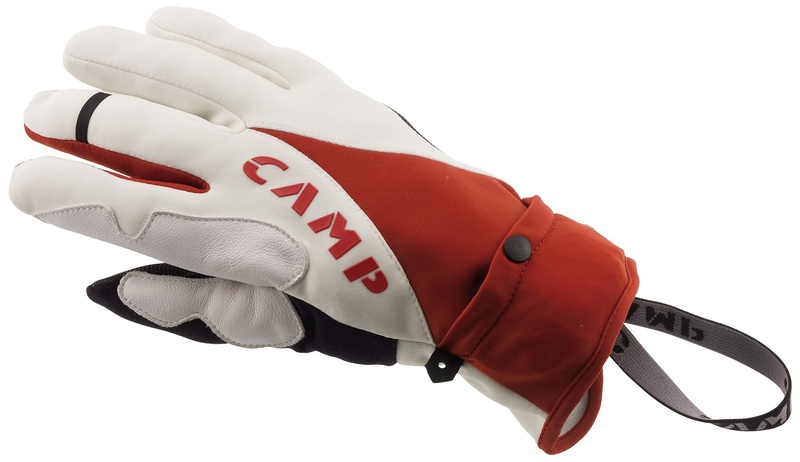 My new favorite glove, if you can still find a pair... the goatskin leather is supple enough to work with ropes and webbing with, and the red makes them harder to lose in the snow or your bag. Wrist loops are a plus for any skimo glove, and make fine tasks easy. The wind mitt is a good blend between small size (not really noticed on the wrist) and warmth, though some magic fibers that would allow it to be used near ski edges or bindings would be great. Still not terribly warm when sitting around, but for movement in variable alpine conditions, like in Summit / Vail near treeline, they are awesome. After one season of daily use and abuse, the wind mitten on both gloves was completely shredded and useless. The problem mostly came from making transitions and flipping my Aliens from ski to walk mode while I had the wind-shell deployed. The lever would tear right trough the fabric if I was pulling hard and not careful. Maybe with a different boot/different mechanism this would be no problem at all. Clearly I should have read Ryan M's advice below. BUT, I mean, who can be bothered to stuff the shell back in its hood when you're making fast transitions in a race or elsewhere? Over a month into their second season, an outer seam along the index finger has ripped. Skin is not showing, but it's still a little disappointing. To be fair though, I've put these through the wringer--this wear and tear is not completely unwarranted but deserves mention. On a different note, they aren't waterproof so I wouldn't recommend digging around in a snow pit with them. Wet gloves are no fun. Other than those gripes, I absolutely love these gloves and will continue to use them until my fingers show. They fit well and allow impressive dexterity. They are breathable and yet you can stay warm in them in surprisingly cold temperatures (if you work hard on the skin track and use the mittens on the way down). The leather palm provides great grip and you can even operate a smartphone with them for that picture you'll post on Instagram later. I just wish the wind mitten had lasted a bit longer--without it, hands get cold on the way down. No complaints at all with these gloves. Very well thought out design. I've used them on mild sunny days and days in single digit temps in RMNP with 40 mph winds. They've worked equally well in all conditions (FYI, my hands generally stay pretty warm in most conditions). Definitely needed the wind shell out for the frigid days, but it's convenient to take on and off. Definitely recommend removing the wind shell before putting or removing skins, or fiddling with bindings. The material is thin and it would be shame to rip it. Finally, the bungee wrist is a welcome addition to prevent dropping a glove in the snow should you need to temporarily remove the whole glove. I've quickly shredded two pairs of the standard CAMP Wind Glove now between ski edges and ice axes. I'm happy these have better leather coverage that so far seems to hold up a little better to sharp stuff. The inside palm is reasonably sticky when choking up on a slick ski pole. Still very breathable which is nice but they get wet quick if you are working hard and take a spill or stick your hand in the snow. Summary = These will be in regular rotation alongside my Dynafit race gloves until I shred them. No complaints. I am tough man to please when it comes to gloves. Between climbing, skiing, and the rest of life I chew through a few pairs of gloves every winter. I am always on the search for the do it all glove that finds the right balance between durability, warmth, and sensitivity for a wide range of activities - but can also be surprised when I find a niche glove that excels for one activity. 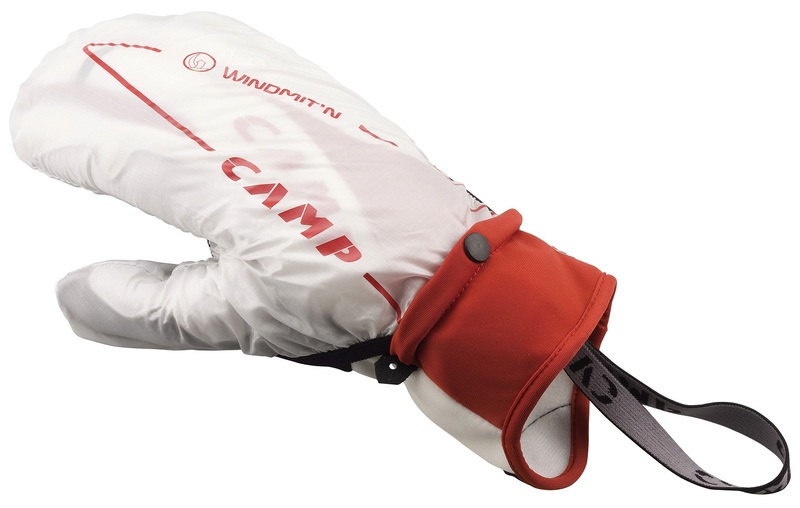 The CAMP G-Comp Windglove is one such exceptional niche glove in my mind. The glove is soft on the skin, very breathable, suits a wide range of temperatures, and adds an extra feeling of security in the mountains with the wind mitt. Also great dexterity with the glove, no problem fiddling with bindings or rigging a rappel. I also like that the material on the fingers works on a touchscreen. 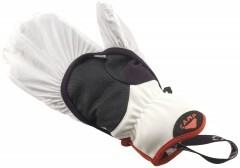 Because of all these features this glove excels at skimo. However, I would be hesitant to take them into heavier wear activities (eg extensive rappelling etc). I notice that there is no double stitching anywhere on the glove. After a small fall where I landed on my knuckles I noticed I tore a seam. This was a quick repair with some dental floss and superglue, but still I was surprised how little it took to split them apart. Maybe that's the price we pay for such a otherwise awesome glove? So yes, a great glove for skimo that could use some improvement on the durability front (though in my opinion most gloves need an improvement on this). Overall I am happy with this glove and use it nearly daily. I've owned so many different gloves I couldn't count them. Until starting skimo racing I hadn't looked at Camp apparel that much. Well to my surprise they have some very functional gloves to offer. I went with the G COMP because of the goat skin palm for durability. I have a number of training & racing days on them already and I can tell they are going to hold up nice. I train mostly in the late afternoon and often get back to my truck after dark. The deployable wind shell is used almost every time. 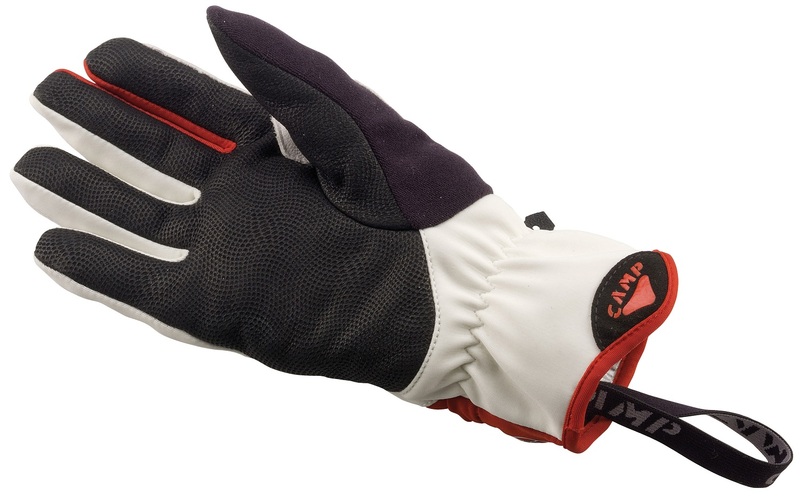 This is a light glove for high activity, so the wind shell comes in handy often. Not much else to say other than I don't think you'll be disappointed in this glove for training & racing!